The other day I was hanging out and watching the show Deadliest Warrior on SPIKE. For those of you that are unfamiliar with this amazing show the premise is simple. Each episode they take two types of historical or contemporary warriors such as Ninjas and Samurais and put them through a series of tests to determine which is the “Deadliest Warrior”. As I was sitting there thinking about how sweet this show is I started to wonder, “what if they took this show a step further?” “What if they did this show with mythological creatures?” It is that question that brings me to this post and the question that I would like to pose. Who do you think would win, Vampires or Zombies? I realize going into this article that a lot of this is going to be very subjective but I wanted to explore the topic a little and get your guys opinions on it. To determine who would win I think we need to first examine their attributes. Depending on the genre of Vampires you select a lot of the characteristics will vary but generally speaking vampires have these attributes. Don’t have a reflection since they don’t have a soul. Can fly (if they transform into a bat). Possess super-human strength and hearing. Can convert those they bite into Vampires. Hides during daylight to regenerate, sunlight can also kill them. Cannot walk upon consecrated ground. Cannot enter a house without being invited. Garlic, holy water and crucifixes can repel Vampires but they will not kill them. A wooden stake to the heart will kill them. Historically speaking Zombies have always been portrayed as slow-moving creatures, however, Zombies in recent popular culture have considerably increased their speed and strength. 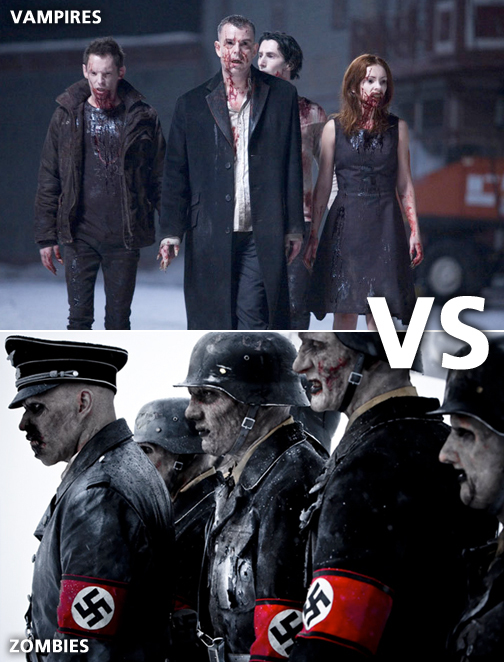 Depending on which Zombies you go with, traditional or modern, I believe will affect your decision on the outcome of who would win. I flagged the speed attribute as debatable in the list below. Can convert those they bite into Zombies. Excellent hearing. Not only can they detect sound but the can also determine its direction very accurately. Inability to recognize or feel pain. DEBATABLE: Unlimited endurance and incredible speed. Very stupid. The infected brain causes the host to lose their intelligence and converts them into a very instinctual creature. After analyzing the list of attributes it is my opinion that Vampires would definitely win. 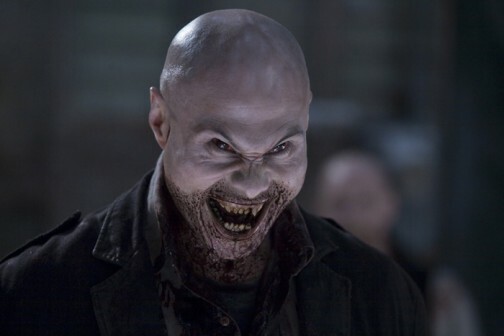 Vampires would have no problem feeding off Zombies to keep them strong and almost non of the Vampire weaknesses I feel would come into play since Zombies are not smart enough to take advantage of them. If you look at their strengths both Zombies and Vampires match up very well, both are strong and fast (debatable) but where Vampires have the edge is in their ability to shape shift and their intellect. 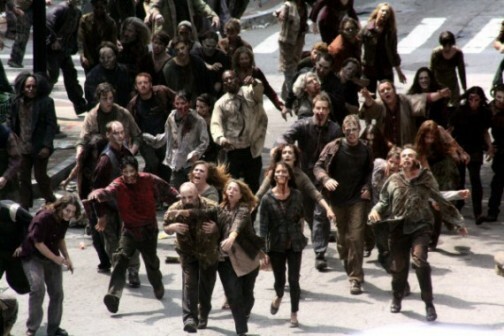 I believe that in this scenario Zombies would win the short term battle by easily taking over and consuming the whole world but Vampires would have absolutely no issues hiding out during the day and over time pick off the Zombies during the night thus winning the overall war between the undead. What do you guys think? Please share, I want to hear your thoughts! Who do you think would win? AMC’s Walking Dead! Finally! A TV Show About Zombies. Yes Please!